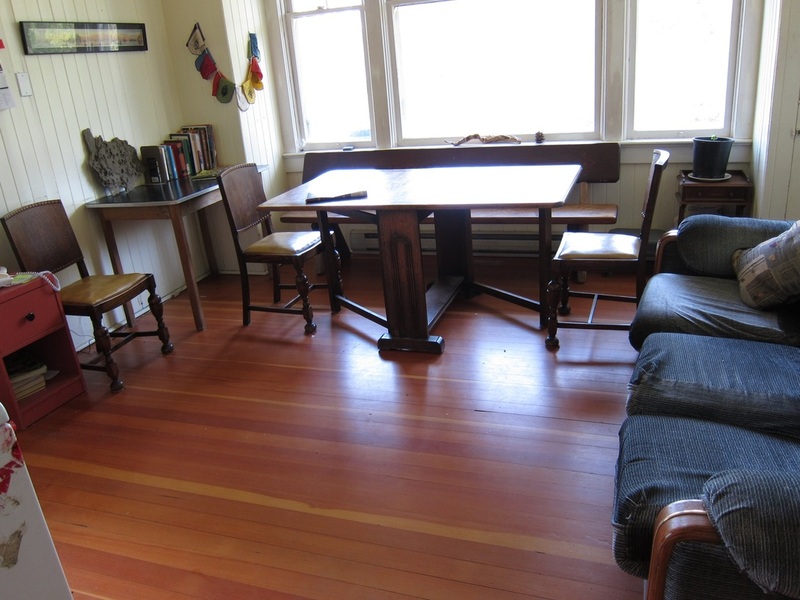 The Dean Road House is home to 12 individuals, paying rents from $380 to $440 per month depending on how long a tenant has been in their room and the differing amenities of the rooms. The house is shared. It has 5 refrigerators, a freezer, a front-loading washer thanks to the SS Foundation, a coin operated dryer thanks to the IODE, and 5 bathrooms with showers. The huge kitchen with 10 foot ceilings is the common area; the individual rooms are large enough for visiting by friends and other tenants. 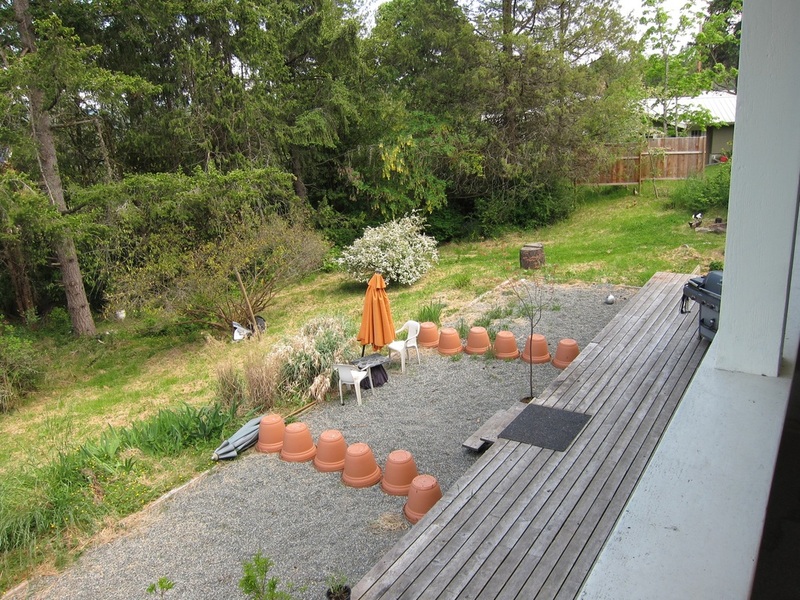 The property is 1.4 acres; it has 4 apple trees, 1 pear and 1 fig tree, abundant blackberries, many previously existing ornamental trees and shrubs, a fenced garden area for growing veggies, a 16 foot fiberglass greenhouse, lovely resident-generated herb and flower gardens, and the occasional cat. 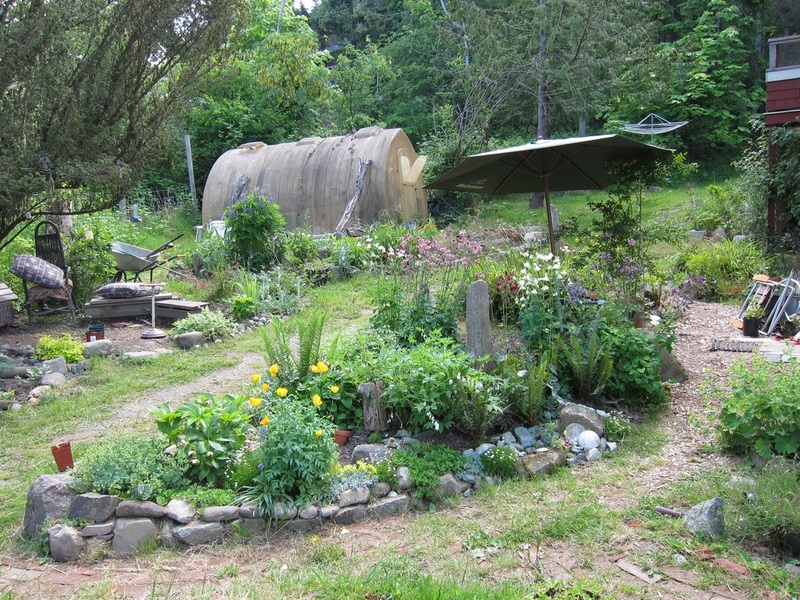 It has a recycling shed, compost bins, bike rack, a small parking lot and a large field that gets weed whacked back every year to keep nature from claiming it outright. Until January 2010 there was a row of fir trees on the south-east side of the property shading the house. One tree came down on the roof in a storm, shocked the house awake in the middle of the night and did superficial damage. The other trees, very likely to come down too, were cut the next day. The building is a stunning total of 5,400 square feet of living space on 3 levels. The cladding is cedar shingles with special fire retardant shingles used for the 4 feet closest to the ground. It sports a wraparound deck on the main level where glimpses of the ocean and a view of the mountains north of Vancouver are visible on clear days. There is a 432 sq. foot deck off the walk-out basement level and 600 sq. feet of gravel extending the lower-deck space by an added 11 feet. Go to Dean Road menu.